ECN stands for “Electronic Communication Network” that provides direct interaction of individual traders and banks. The latter, along with the major brokers, place orders on behalf of their traders. Due to the order matching mechanism, being the essence of any ECN technology, the opposite orders of market players get executed automatically. The deal is complete upon meeting certain parameters such as price, quantity and the type of a financial instrument. 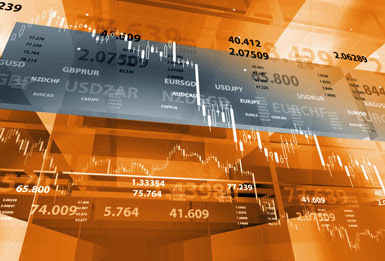 At the moment, however, the retail Forex market has no capacity for operating “true” ECN technology through lack of liquidity within the closed system. That is why pure ECN cannot exist but its concept fits well an ECN/STP model, which presupposes either interaction of traders’ orders placed with a broker or usage of the STP mechanism. STP stands for “Straight Through Processing” that requires no manual interaction for the whole trade lifecycle, which includes processing, allocation, reservation and execution of an order as well as its automatic settlement. This mechanism is activated in case there is no counterparty for a placed order within the internal ECN but there is a matching opposite counter order from an outside Liquidity Provider (LP). At this juncture the STP is applied to send a request to an external LP for execution. Typically, major banks act as Liquidity Providers. The conditions for order execution get better as the number of LPs increase. Due to their strong competition, a placed order is executed at the best offered price. – Limit Order*, set within the DAB*, keeps BestPrice until it gets filled or yields the position to another Limit order with a better price. *DAB stands for the difference between the best BID and the best ASK (Offer). You can modify the DAB, making it tight on some illiquid financial tool. Thus, you can reduce the average 70 pips’ DAB to 10 pips’ DAB by keeping your Limit Order 10 pips away from the opposite price. By placing orders (execution of orders is not obligatory) you can influence BestPrice and reduce the DAB. Just make sure you timely move your Limit Order. – Two opposite Limit Orders, set within the DAB at the same opening price, are executed instantly – your Sell is filled with your Ask. Such parameters as trading volume, queue and speed of order execution must be considered. Compliance with the above conditions is characteristic of ECN/STP model. When your trading order is sent to the Liquidity Provider via the STP mechanism, it may follow a few patterns of execution depending on its type. Judging by these facts, Market Orders may have both negative and positive slippage, while the typical feature of Limit Orders is execution at the stated level or with a positive slippage only. However, ECN/STP technology does not guarantee execution of Limit orders at the set price, as it is directly influenced by the time of execution, trading volumes and order processing queue. This happens at periods of low liquidity when the market is about to open or close, as well as in times of high volatility, triggered by the release of key economic news. Sell ​​Market Orders are executed against the opposite Buy Limits. Buy Market Orders are executed against the opposite Sell Limits. Thus, there happen to be incidents of execution of Buy Limit orders at PriceBid and Sell Limit at PriceAsk. Such cases are a huge advantage for a trader. They increase the expected value of Limit orders execution and effectively provide a trader with sizable profits. Thus, the ECN/STP technology has become a logical step forward in the evolution of the brokerage system. This innovative solution has contributed to bringing the whole Forex trading to a new level, making it high-yielding and more competitive. Such ECN/STP technology is currently offered by the company FXOpen and is gaining ground among the traders worldwide. You are most welcomed to get a closer look at the broker’s top-level service and appreciate its advantages.